Not so much the length of the article, as the short age of Soviet arcade machines makes this history brief. Let’s start from the very beginning. Arcade games trace their roots back to arcade machines usually installed in “arcades” shopping malls. 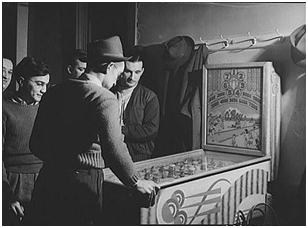 The first mechanical arcade machines appeared in the USA in the 1870s (2). They quickly became very popular. By the 40s-50s of the 20th century, these machines spread all over the world. However, except for the “countries of developed socialism”. The history of arcade machines in the Soviet Union began at the turn of 70s, when officials of the Ministry of Culture realized they could make big money on them (2). 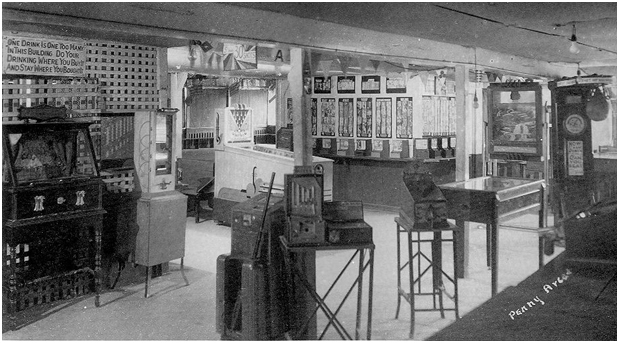 In 1971, the International Exhibition of Amusement and Arcade Machines was organized in Moscow (6). Far the most famous manufactures of game machines from the USA, Japan, and other countries took part in it. Their developments were not the newest and the most popular ones. However, it was a real breakthrough for unspoiled Soviet people: arcade machines with real cowboys, ducks, and coloured lights! During one month and a half, this exhibition enjoyed the daily audience of around 20,000 people. They had to wait in long lines to get 20-kopek coins (7). When the exhibition was over, Japanese manufacturers agreed to sell their illiquid machines to the Soviet party. 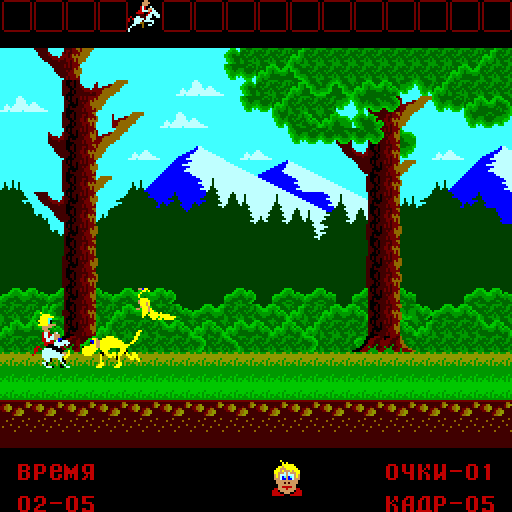 They were sent to secret defence industry enterprises to be taken to pieces and used as basis for “domestic” arcade machines – the first generation of Soviet computer games. Those machines were said to be useful, to improve reaction and straight eye. In short, they were approved by doctors and the communist party. In fact, those arcades were 95% copies of the purchased Japanese machines. From 1975 to 1991, 22 closed munitions factories were engaged in their manufacturing, as only the army had access to electronic technologies and free capacities necessary for this kind of civilian production. 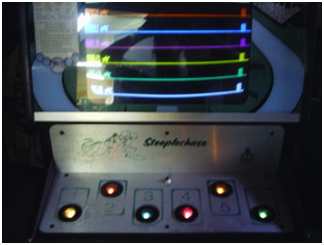 However, 80 different arcade machines manufactured in the Soviet Union also included several proprietary designs (9). The production was supervised by “Soyuzattractsion”. Several design-engineering offices functioning under this organization were in charge of inventing new machines. Despite this, the majority of arcade machines manufactured in the USSR were copies of American and Japanese analogs. The Soviet science used obsolete plagiarism, despite their intellectual and technical potential, for political reasons. Let me wander here from the subject of arcade machines and briefly draw a parallel with the history of computer equipment development in the USSR. Surely, this topic deserves a separate article, but I will present just several facts. Despite the common opinion that Soviet computers (or “electronic data processing machines” as they were called those days) could never keep pace with their American analogs, it did not fully reflect the reality. 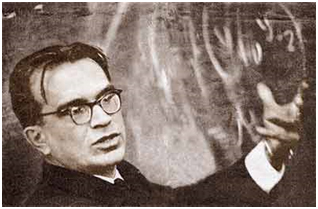 Thus, for example, MESM (small electronic counting machine), created by Sergey Lebedev in 1950, was an electronic data processing machine based on binary logic, which is used in computers nowadays (ENIAC, its American analog, used decimal system). Then, BESM-1 (big electronic counting machine) manufactured afterwards had the highest performance in Europe and was one of the highest-power computers in the world (10), (12), (13). 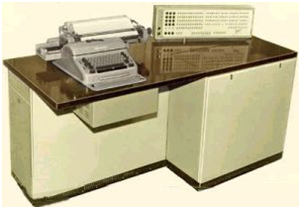 Mir-1, the electronic data processing machine created by the Ukrainian engineer Viktor Glushkov in 1959, was bought by IBM company at the 1967 London exhibition (14). 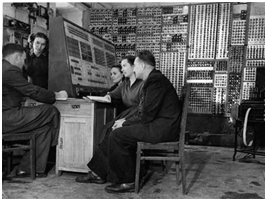 However, despite the progress, during the cold war Kremlin officials feared a lot not to keep pace with the West in everything related to computer developments and preferred to resort to industrial espionage instead of developing local science. I would dare to presume that plagiarism of the idea of arcade machines was caused by the habit of stealing Western developments common to Soviet officials. They thought it easier and safer to copy others’ ideas than to develop their own. Design of the majority of arcade machines was rather primitive. Its development was a simple engineering task. Despite plagiarism, there were certain technical and ideological differences between Soviet and Western machines. Enormous weight of Soviet machines was their main difference. It was related to planned economy. The bigger the total mass of items manufactured by the plant, the more money it would obtain the following year. That is why certain machines had many metal parts, although they could be made of plastic, thus, making the item weigh 20 times less (17). 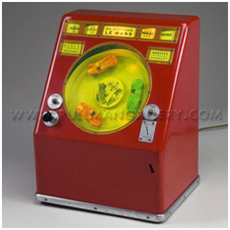 The cost of Soviet game machines was comparable to that of a car (the price for “Zhiguli” was 6,000 RUB those days (18). However, a machine would pay off within one season, although the cost of a three-minute game was only 15 Soviet kopeks. Besides technical, there were also certain ideological differences between Soviet machines and “imperialist” models. Game subjects were another difference. They were real unlike fantastic, futuristic subjects of Japanese and American analogs. There were no lists of high scores in Soviet arcade machines, and one could not win money there, just a bonus game or little things, such as chewing gums. 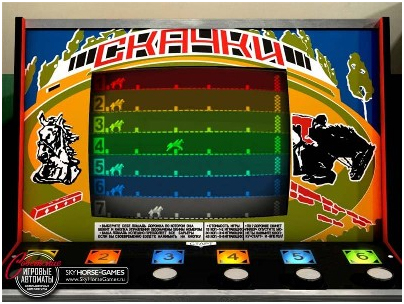 Soviet arcade machines were not considered dependence producing, and one could play a game for only 15 kopeks (19). There are very few Soviet machines left today. One can try them in the museum of arcade machines created by two Moscow students, Maxim Pinigin and Alexander Stahanov 4 years ago in the hostel of the Moscow State Technical Institute. Let’s, finally, have a look at games played by Soviet people from 70s to 90s. There were mechanical, electromechanical, and electronic machines. The aim was to fish out a prize (soft toys, chewing gums, chocolate) from the machine with the help of a mechanical arm. A game for two players. Within the allotted time, each player was to hit the rival’s basket, getting a higher score. Both players controlled each spring hole. For a score of “30-30” or more the players would get a bonus game. Equivalent of the Western game “fussball”. The most famous and, apparently, the first arcade machine. It has been produced since 1973. The machine simulated torpedo attacks by a submarine. The player was looking through the periscope at enemy ships moving on the horizon, trying to shoot them down. There were three enemy planes moving on the screen. The player had 2 minutes to shoot them down using a joystick. Those enemy planes resembled American “Phantoms”. Thus, it was not only fun for Soviet citizens, but also a means to get prepared for meeting the potential enemy. Various electronic shooting ranges with light (or electromechanical) rifles. 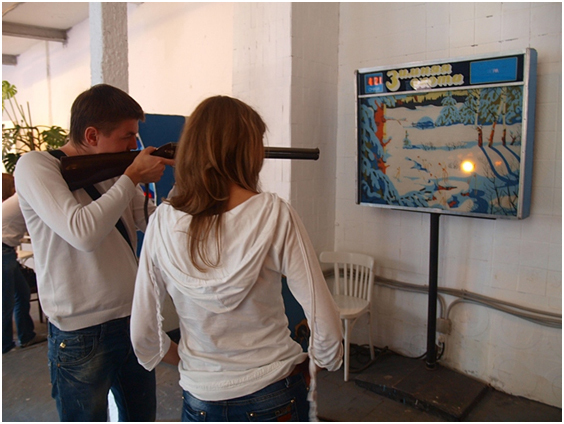 An electronic shooting range, where the player was to hit twenty fixed targets in one minute, using a rifle. Simulation of a Russian game similar in concept to bowling. The aim is to knock out groups of skittles arranged in various patterns by throwing a bat at them. While moving along an endless route, the player was to overtake randomly appearing cars, avoiding potential collisions. There was a game version for 2-4 players as well. A game maximum for 6 players. In a single game, the player was to compete with the computer. However, it was more interesting to play with other people. Funny, but it was a black-and-white game. Tracks differed in color due to color strips stuck on the screen. This game was an exact copy of Steeplechase’ Atari. 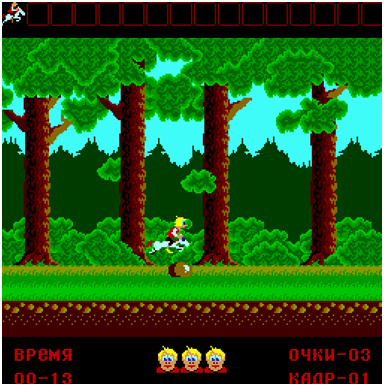 The game called “Russian Zelda” on the West (it is hard to tell whether it was a compliment to engineers or a reproach for secondariness) was the first fully-featured arcade game. It had 16 levels. In order to pass through them the player was to overcome obstacles and fight enemies. Initially, the player would have 3 lives. The game would be over with no lives left or after 5 minutes of playing. 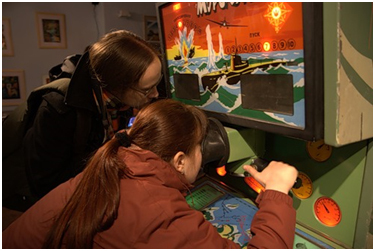 Soviet arcade machines enjoyed their greatest popularity in the 70s-80s of the last century. During “perestroika” (restructuring) they were driven out by more eye-popping Western models, “one-armed bandits”, computer rooms, home gaming machines and playstations. Almost all old machines were taken to storage facilities, destroyed or put on the scrapheap. The generation that grew up on these machines looks back into those times with pleasure while playing games in the Museum of Arcade Machines or on-line. These games are pri mitive and do not require advanced language skills. In order to start it is necessary to press the coin in the upper right corner. However, present-day teenagers find these games boring and barren of interest. For a similar reason, the topic of Soviet arcade machines cannot be part of “History of Computer Graphics”, at least of its short course. Soviet arcade machines were nothing but a short-life clone in the group of such machines. They didn’t have outstanding peculiarities or inventions. However, they marked a momentous historical event for one generation of former USSR citizens. (Eng.) 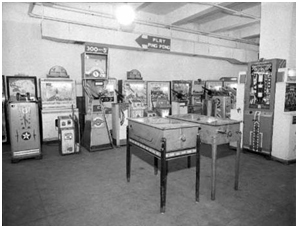 Images of first arcade machines. Shaggy & Norm. 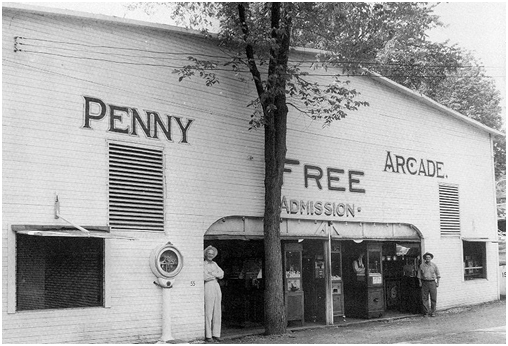 Old Penny Arcade & Coin-Op Location Pictures. 02/28/07. Many pictures and info from R.Bueschel and E.Hatchell's book, Coin-Ops On Location, 1993. 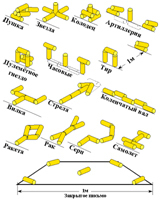 (Rus.) TV, 1st channel, programme “I want to know”, 09 August 2010. (Eng.) Images of first arcade machines. Lot of M.S.Rau Antiques "Best Antique Store in New Orleans", "Extremely Rare Double Slot Machine". Reference: Slot Machines on Parade, Robert N. Geddes, 1980. (Eng.) 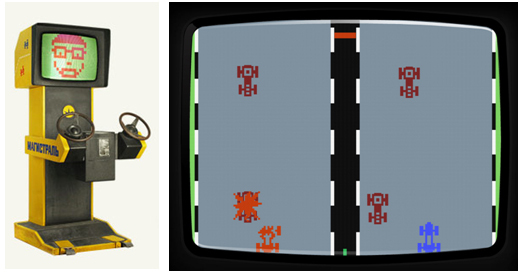 Images of first arcade machines. 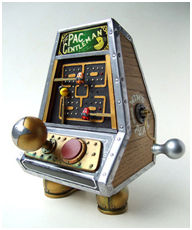 TechoBlog, 11/04/2007, Feature: Steampunk Pac-Man Arcade Machine. This Pac-Gentleman arcade machine shows what the game might have looked like back in the early 1900's. (Eng.) Images of first arcade machines. Posh Stuff Online, March 2, 2010, Arcade game. (Eng.) “Tsar Podcast” project (since 2009), by Tim Kirby, “Museum of Soviet Arcade Machines”. (Rus.) Illustrations of First soviet arcade mashines. TV, NTV-news, reportage about “Museum of Soviet Arcade Machines” 26.07.2010, 19:21. (Rus.) 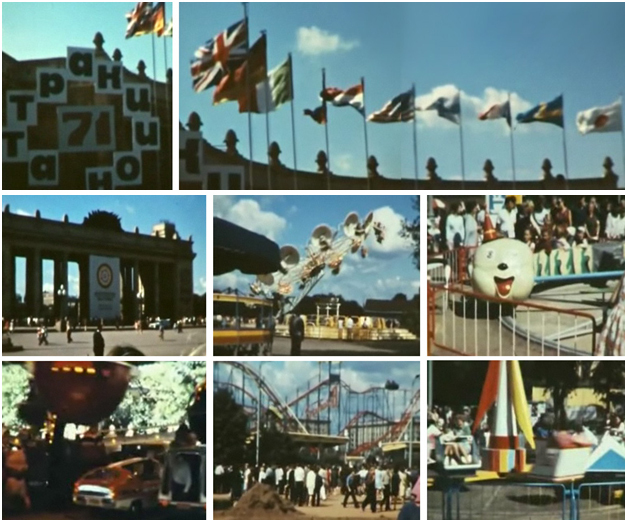 Illustrations of International Exposition of Attractions and Arcade Machines, Moskow, 1971. From news reportage. Kommersant.ru. News. by Alexandra Radkovskaya 04.02.2010. (Rus.) TV, RIA-News, Interview avec Alexander Stahanov, one of the creators of a “Museum of Soviet Arcade Machines”, 19/08/2010, 20:09. (Eng.) Museum of Sergey Lebedev-creator the first stored program computer in continental Europe Development of Computer Science and Technologies in Ukraine. Brief History Sergey Lebedev. Life and scientific work. Pictures. Supplements. Bibliography. (Eng.) Photo of Small Electronic Counting Machine by Sergey Lebedev. Computing News. Secrets of Communist computing. In Depth: How the USSR's thirst for computing power led to its downfall By Jon Thompson, July 26th 2009. (Rus.) Mobi.ru. Articles. Shine and Poverty of Soviet Electronic Counting Machines. By Juriy Popov. 16.07.2008, 15:10. (Eng.) All news is one. Creating the first in continental Europe, the computer program stored in the memory. References. For preparation of this work were used materials from the site. (Eng.) 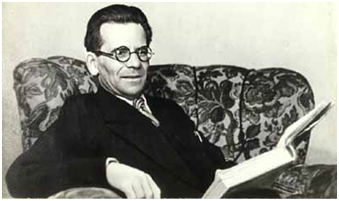 Victor Glushkov - Founder of Information Technologies in Ukraine and former USSR Development of Computer Science and Technologies in Ukraine. Brief History. (Eng.) Photo of Electronic Counting Machine by Victor Glushkov - Founder of Information Technologies in Ukraine and former USSR. Museum. Development of Computer Science and Technologies in Ukraine. Brief History. (Ukr. ) Institute of mathematical machine and system of National Academy of Sciences of Ukraine 05.01.2008. (Rus.) 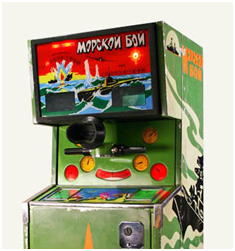 RIA-News, Back in the USSR: Soviet arcade machines are popular as before, 19/08/2010, 18:52. (Eng.) Motorsporlari.net, 1974 - VAZ - Lada 1200 specification. (Rus.) 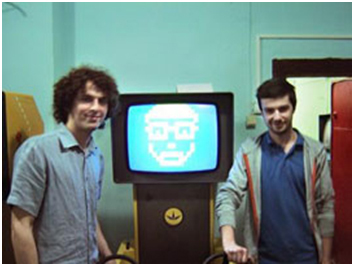 Photo of Creators of Museum of soviet arcade machines:і A. Stahanov and M. Pinigin. 19 March 2008. Anthology of arcade machines: arcade machines in USSR. By Dmitriy Arkadiev-Berlin. (Rus.) 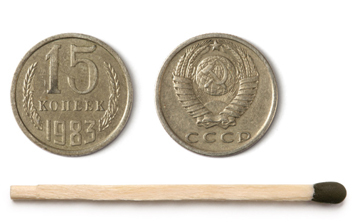 Photo of 15 soviet kopeks. Many photos of soviet arcade machine. Article. Museum of soviet arcade machines, Drugs of the past. 5-10-2010, 11:04 Author in unknown, many images and illustrations. (Rus.) Museum of the banya. (Rus.) 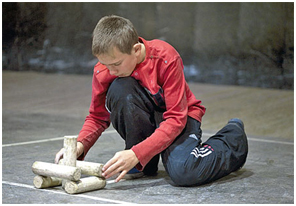 The rules of “Gorodki” game. (Ukr.) Article. Gorodki – in the program of the summer Olympiads. 23.05.2008. (Eng.) Site of the Museum of Soviet arcade machines. (Rus.) Some blog. The best illustration of interface “Skachki” that I have find. (Eng.) Arcade Museum, image of “Attari”. (Rus.) The best illustration of interface “Skachki” that I have find.